i rock paper and scissors: 1987 | Bella Blvd. 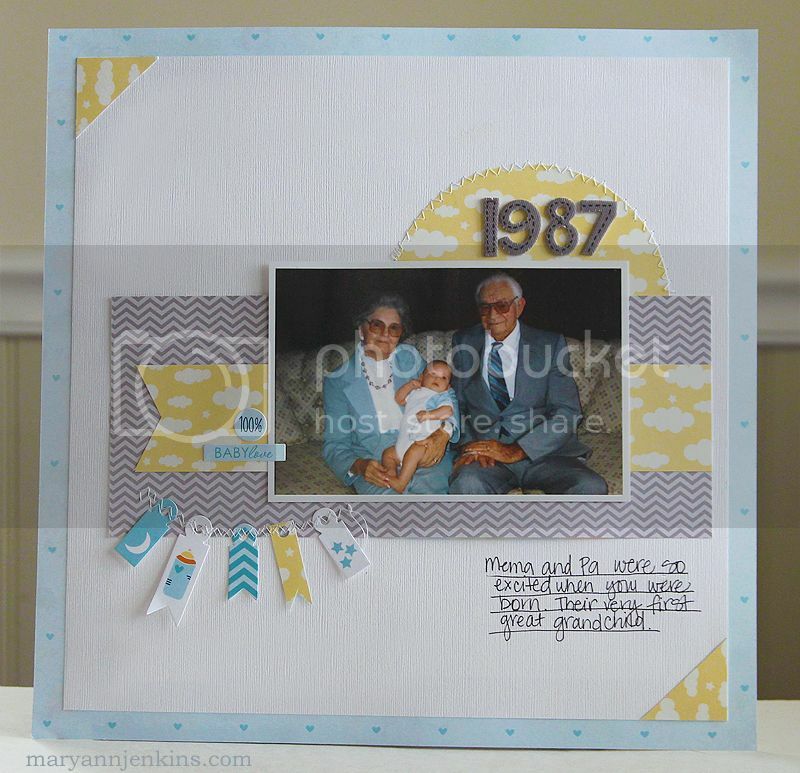 1987 was the year I had my first son, and the year I started scrapbooking. I know, you all thought I was barely over 30 right? ;) I scrapped this photo way back then for his baby book, but that was back in the day of limited patterned papers, and very few were 12x12. This is one of my favorite photos of Andrew and my grandparents, I have always wanted to make a layout with it for our family album. And, since I'm totally caught up on all my other photos (seriously kidding!) I thought why not scrap this one again. I rarely, as in pretty much never, go back and scrap photos twice. It's usually one for the kids albums or one for the family album. But sometimes you love a photo so much once just isn't enough. You did a great with this new one. This is a lovely picture too. Love your stitching. Beautiful!! I loveeeeeeee the colors and the stitching!!!!! What an adorable photo, I love the use of the mini tags for the banner. Cute page. 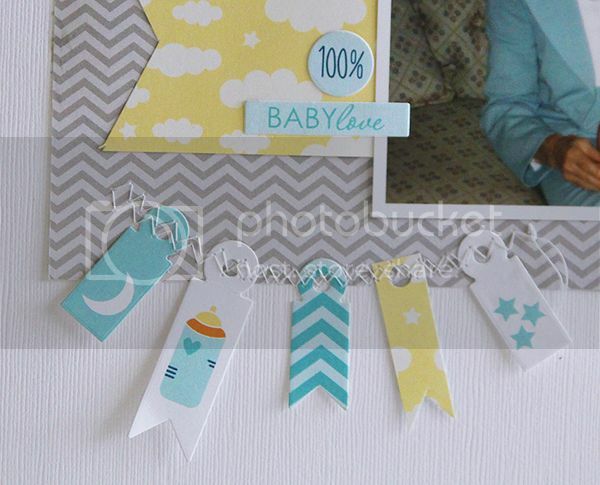 Beautiful; love the little tags! Love the colors on this page Mary Ann! And such a sweet photo to scrap again!